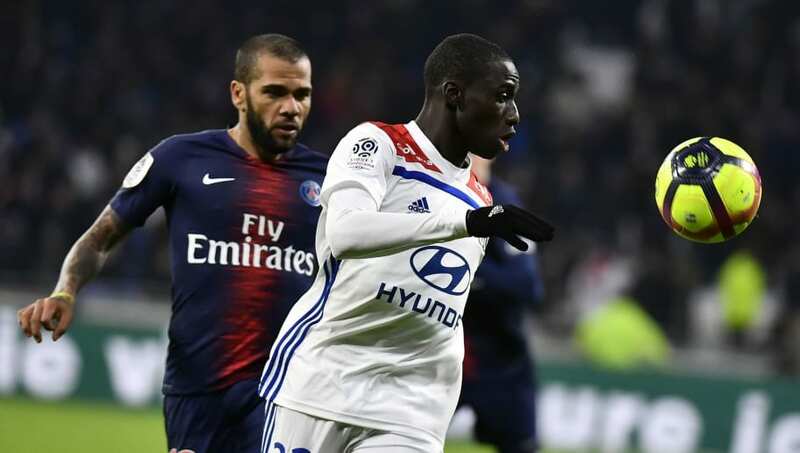 ​Lyon are reported to have told Paris Saint-Germain they want €40m for left-back Ferland Mendy, after the Parisian giants joined Barcelona in the race to secure his signature. Mendy has enjoyed a fine season for Lyon, starting 21 of their 24 league matches as they sit third in Ligue 1, and is thought to have attracted more than a few flattering glances from top sides across the continent. He emerged as a potential ​long-term successor to Jordi Alba at Barcelona on Saturday, with reports claiming that director of football Eric Abidal is keen on the defender, and that the club intend to run the rule over him when Barca meet Lyon in the Champions League last 16 this month. It seems, though, as they may have to move a bit quicker than that, as French outlet Paris United say (via ​Mundo Deportivo) that PSG have jumped the queue with regards to the 23-year-old, and have contacted Lyon about a potential summer move. They are confident that €40m will be enough to pry him away from his current side, who he joined for €5m in 2017, despite Lyon CEO Jean-Michel Aulas not being the biggest fan of the runaway Ligue 1 leaders. It's thought that the recent competition between ​Barcelona and PSG to land Frenkie de Jong from Ajax adds another dimension to PSG's desire to land the player, with the Parisians not keen to be beaten to another target by their European rivals. They prepare to face Ole Gunnar Solskjaer's Manchester United in the last 16 of the Champions League later this month.